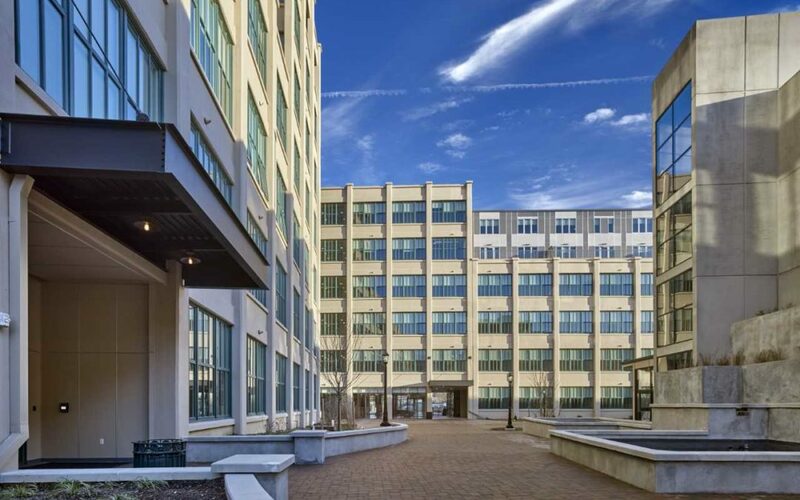 Prism Capital Partners has announced the 100th lease signing at The Residences at Edison Lofts in Edison Village. The milestone coincides with the formal completion of construction at The Residences – a former crumbling, 400,000-square-foot factory that today serves as the centerpiece of Prism’s adaptive reuse of the Thomas Edison Factory and Commerce Center property on Main Street in West Orange. Prism recently put the finishing touches on amenity spaces and unveiled 21 penthouse homes at The Residences at Edison Lofts. Its 300 studio, one-, two- and three-bedroom homes take advantage of original architectural features, incorporating 14- to 16-foot ceiling heights, and eight- and 10-foot replica replacement windows. This includes a recently completed theatre and media screening room, a 5,000-square-foot private fitness center with Peloton bikes, heated indoor pool, sauna, personal and bike storage, a dog-washing station, and concierge service. In addition, Edison Village is opening a self-serve, “man-less” café, in which residents will pay for items with a key fob. The property’s 12,000-square-foot rooftop indoor/outdoor Sky Lounge boasts 360-degree unobstructed views of the Manhattan skyline and includes a private dining room with catering kitchen. As the weather warms up this spring, the outdoor deck will open, offering a mix of seating, firepit and barbeque grills. Edison Village also includes The Mews at Edison Lofts, a boutique collection of 34 one- and two-bedroom homes over 18,400 square feet of retail, and a 630-space parking structure. Prism’s redevelopment has included new sidewalks and street lighting to enhance walkability and biking in the area. The urban landscape also features both parks and open green spaces, designed to further foster outdoor activities. Vast infrastructure updates have included upgrades to the water, sewer and electric, and roadways are being connected through the project to integrate it with the surrounding residential neighborhoods. The diverse range of housing choices at Edison Village meets the needs of current and future residents of all ages, from Millennials to empty nesters and families. Edison Village’s second phase, which is set to launch in late 2019, will further expand these opportunities by incorporating approximately 60 affordable housing units out of the approximately 230 additional residences, slated as for-sale townhomes.